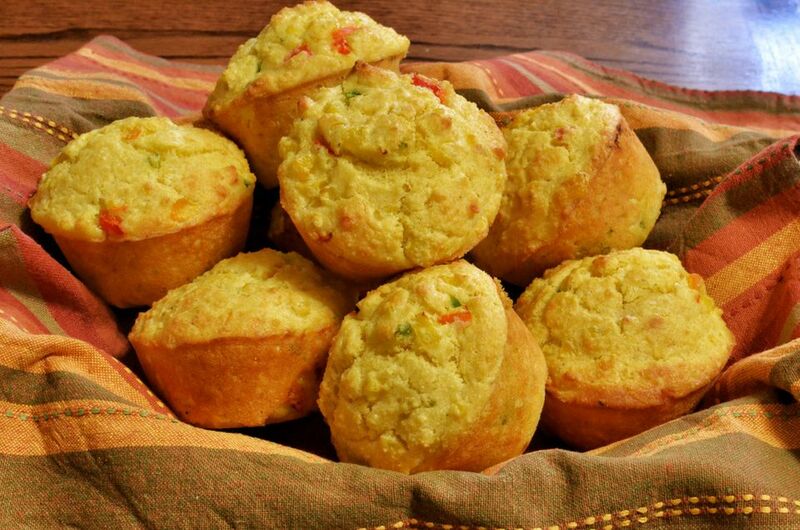 This Mexican cornbread features diced green chiles, sweet corn, and cheddar cheese. I like to use fresh Anaheim or poblano chile peppers, but you can substitute canned green chiles. The chile peppers have a tough outer skin, so we char them on a dry skillet and then steam them in a paper bag. Steaming them in the bag makes it easy to slip the skins off, and charring them develops plenty of sweet, smoky flavor. If you're using canned chiles, the skins are already off, so you can skip that step. Thoroughly grease and flour a 9" × 9" baking pan (or use a nonstick baking pan or a flexible silicone pan). Or use a cast-iron skillet. Pour the batter into your prepared pan and bake the cornbread immediately. Bake 25 to 30 minutes or until a toothpick inserted into the center of the cornbread comes out clean and the edge of the cornbread starts to separate from the pan.